Offers cultural pilgrimage and wildlife packages tour itinerary bookings to varanasi, khajurao, ranthambore national park, bandhavgarh tiger park, kanha wildlife reserve and golden triangle of north india including delhi agra jaipur including wonder of world the Taj mahal. Almost every place which is worth to visit during north india tours is coverd in this packages and if you have near about 15 -20 days this one tour is best suited to every one. Here culture, heritage of 3 city delhi agra jaipur is prime attractions along with wildlife safaris in ranthambore, kanha and bandhavgarh tiger reserves. & famous & heritage temples of city like khajuraho & varanasi. We provide online bookings facility for this tour as well. Even one can alter the destinations and make some modifications so that itinerary provide total comfort and convenience during your trip. 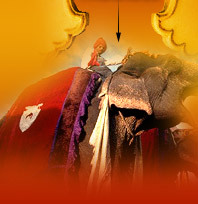 In this package every theme is covered like heritage, cultural, pilgrimage and wildlife. In this itinerary you would visit The Taj mahal in las days of your package and if you want you can extend your tours in agra day or two and after this tour you can plan for south india, kerala or Goa or back to your country.